Superlubricity is a phenomenon of vanishing friction, which can be used to increase the efficiency of many mechanical devices and reduce the energy costs. The phenomenon is not well understood and mostly is observed in nano and micro scales. A further understanding is needed to transfer the superlubricity into the macro-scale. 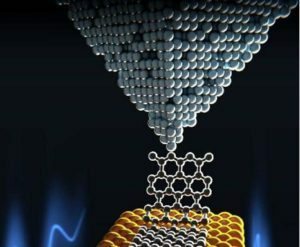 A team of researchers in Basel University and the EMPA have studied the sliding of graphene nano-ribbons (5 – 55 nm in length) on the surface of Au (111). They attached one end of the nano-ribbon to the AFM tip and dragged it along the Au surface. The sliding was found to be almost frictionless (the static and kinetic friction force in the range of 100pN), indicating the superlubric state. 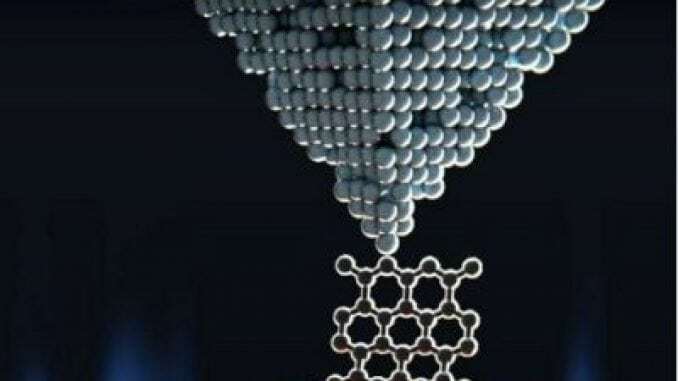 The researchers further used Molecular Dynamic simulations to reveal the details of their findings.The simulations were fully in agreement with the accepted theory of graphene superlubricity. If the contact is commensurate, then the atoms of the solids inter-penetrate like two egg cartons and interlocking occurs, resulting in a high friction. In contrast, when the incommensurate contact is created, the atoms of crystals do not interpenetrate and can slide over each other with virtually zero friction. Exceptional lateral stiffness of graphene makes it impossible for the surface to stretch and adjust to produce a commensurable contact. Along with the weak interaction between graphene and the substrate, makes the effect of superlubricity to occur. 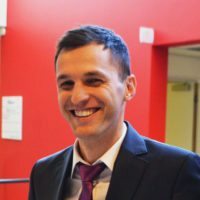 The results of the research can facilitate the improvements in the filed of superlubricity by indicating a way of manipulation of nano-structures using AFM and help in creation of frictionless coatings. More details can be found in the original article: “Superlubricity of graphene nanoribbons on gold surfaces” Science, DOI: 10.1126/science.aad3569.